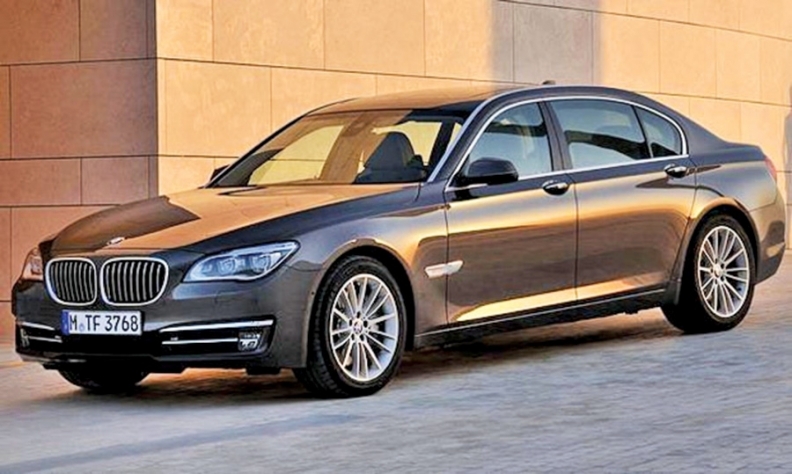 BMW's 740Ld starts at $83,425. BMW is making good on a promise to put a diesel version in each of its three sedan ranges by adding the 740Ld xDrive this spring. The first diesel-powered 7 series sold in the United States will compete with a diesel version of the Mercedes-Benz S class. Mercedes redesigned the S class for 2014 but has yet to launch a diesel version to replace the S350 BlueTec. The 740Ld will have a base price of $83,425, including shipping. That is $1,500 more than the gasoline-powered 740Li xDrive. The new model will be powered by a turbocharged 3.0-liter inline-six diesel that makes 255 hp and 413 pounds-feet of torque. It will be available only with all-wheel drive and a long wheelbase. BMW has not released fuel economy figures, but says the 740Ld xDrive will get 25 to 30 percent better fuel economy than gasoline-powered models. That suggests the 740Ld could offer a combined 30 mpg. The 740Ld will have a stop-start feature and an Eco Pro setting to further improve fuel economy. Acceleration from 0 to 60 mph will be a bit slower than the 740Li model: 6.1 seconds instead of 5.4. Autoweek contributed to this report.